I hear it a lot – ‘It’ll just be kicked into the long grass’ – but whether it’s the government who’s doing the kicking or some other decision-making body, an awful lot of things end up in the long grass. 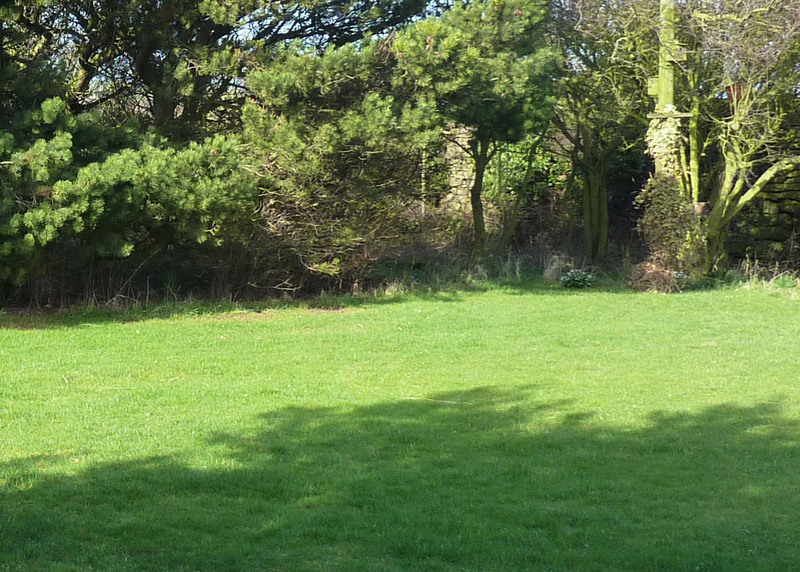 Well, what I want to know is this – where is all this long grass? Because there’s precious little of it around my way. I live surrounded by fields, yes, lucky I know, but there isn’t a square metre of long grass in any of them. Not as far as the eye can see. Even when the field is grass it definitely isn’t long. There isn’t a strip of long grass anywhere, not edging an arable field or running alongside a hedge. There are no rough field margins at all. The fields around me are farmed to within an inch of their lives. Maybe I’m unlucky here, perhaps that’s not typical everywhere, but it certainly is in my area of North Yorkshire. As a result there’s no hunting habitat for owls or kestrels and hardly any farmland birds in the hedgerows. And then there are the hedges themselves. Tall, bushy, vibrant with life? Not exactly. Most of them are sacrificed on the altar of neatness. Is it a question of simply having nothing to do that brings legions of farmers out in their tractors flaying and slashing? Around me so many hedges – potential blossom and berry-producing nesting sites – are brought to their knees each year. It’s not a question of cutting to thicken the hedge or anything like that, it’s simply vandalism. Usually vandalism moves things from the tidy to the untidy but here this form of ‘natural vandalism’ goes the other way, where the untidy becomes tidy. It’s wanton, ignorant vandalism for the sake of neatness. 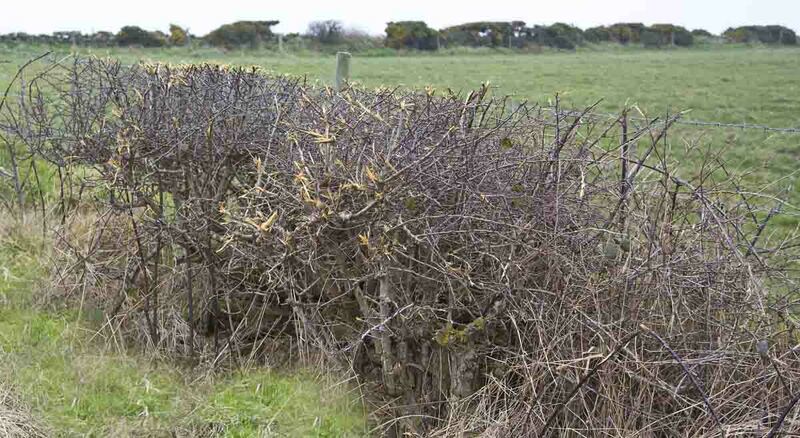 Look at these examples – these sad hawthorns are reduced to this every single year. Squared off, neat and absolutely pointless. They don’t produce berries anymore or even function as a hedge, but they still have to be controlled, still have to be slashed lest they run amok in a berry-producing frenzy. I’ve spoken to the farmer. I’ve asked why they can’t be allowed to grow, ‘Wouldn’t look neat’ was the simple response, as I gazed across his yard at the remains of various bits of rusting farm machinery in a heap in the corner, next to the pile of tyres. And, for God’s sake, farmers can get money for not cutting their hedges. For not cutting them. So what is this obsession with neatness? And why is it only applied to living things? Why doesn’t a pile of old junk qualify but a hedge of blossom, berries and nesting sites does? Are we, as humans, predisposed towards a desire for neatness? There’s no doubt a picture can be enhanced by being framed and a show lawn can look neater when it’s cleanly edged. Are these anti-nature activities by some farmers simply an extension of this? Do they see their fields as works of art to be encircled by a neat frame? Is this why my local farmer won’t consider a skylark plot amongst his wheat, because the neatness mantra was invoked here, too. Rough margins and skylark plots can be funded by agri-environment schemes but is the neatness obsession one of the reasons why the take-up of the Environmental Stewardship scheme hasn’t been higher? I’m sure the form-filling can be a pain, but, however easy it was made to be, would it founder on the altar of neatness? From my conversations with farmers and the council it certainly seems so round these parts. Now it may be that anyone who has read this far is nodding in agreement while looking out at a tidy, manicured garden. Hmmm. 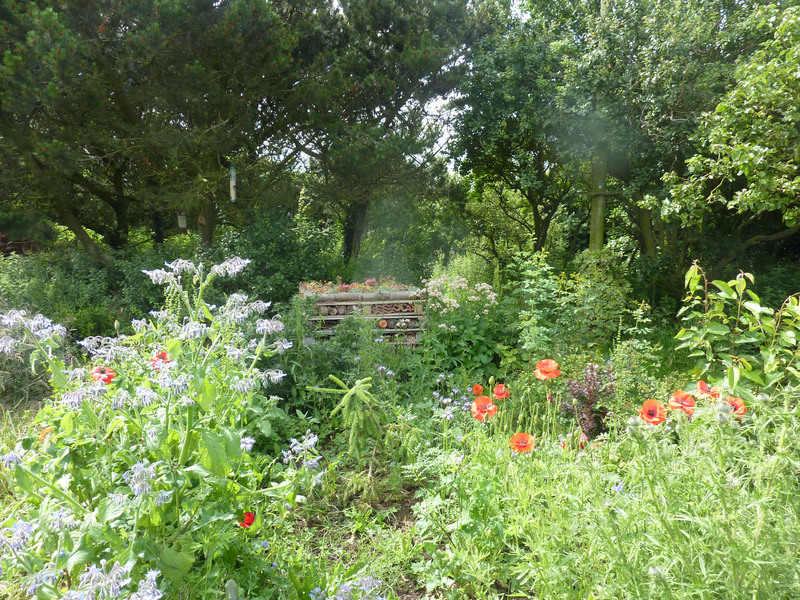 We know, in the face of the assault on the countryside, that gardens are increasingly important to our wildlife but how many of us disapprove of the farmers’ neatness obsession whilst succumbing to it ourselves? I must plead guilty to having had a Damascene moment of my own some years ago, when I suddenly realised how this subconscious pull towards neatness was meaning that my garden was, when I stood and really looked at it, largely ornamental. Neat lawns and flowerbeds. Pretty and nice to look at, all trim and ordered – and time-consuming. But of vanishingly little value to anything at all. So, buoyed by a sudden sense of wild abandon, I stopped mowing part of the lawn and left the hedge alone. I didn’t get any money for doing this but what the hell. I chucked some wildflower seeds in and built a bughouse. Result? Less effort for me and an influx of life. So many birds use the hedge, the long grass is full of moths in the summer as well as birds foraging for insects and grubs for their chicks. Bees and butterflies feast on the wildflowers and a wren has staked a claim to the logpile. 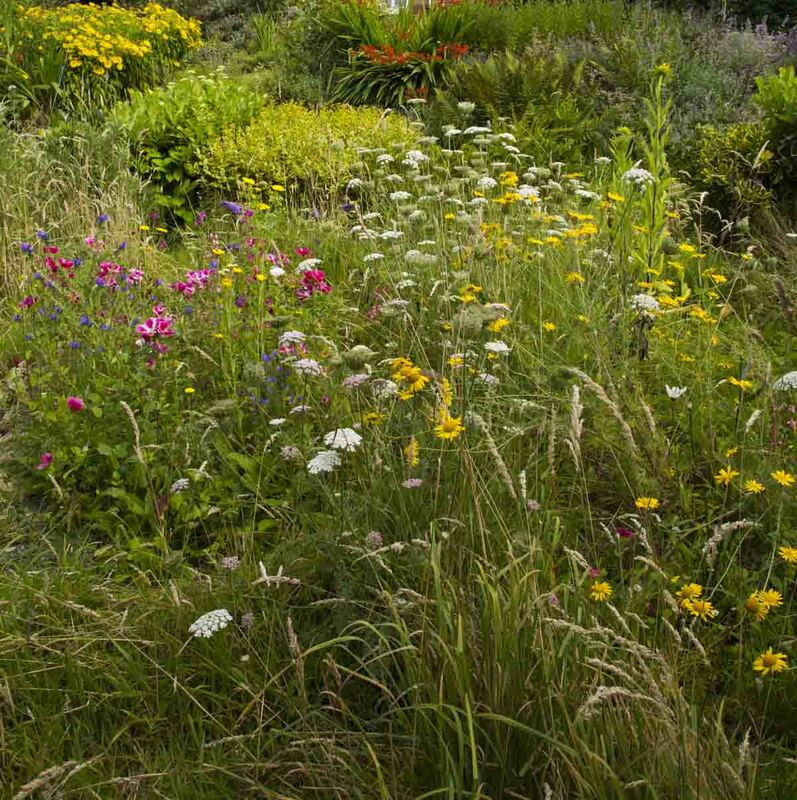 If you’ve got a garden – big or small – just do it. It all adds up to making such a difference – and what’s more it frees up time, so everyone’s a winner. So let’s lighten up on the tidiness and embrace some messiness – and see whether you can get a farmer and your council to do the same because the difference each one of us – and them – can make by embracing just a little entropy is enormous. 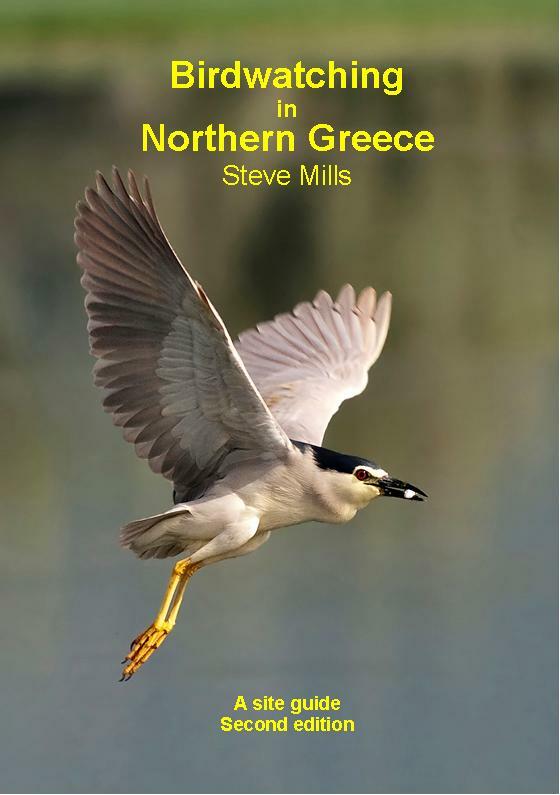 I am an award-winning wildlife photographer, an educationist, a founder of the conservation organisation Birdwing.eu, and a writer of books and newspaper articles. 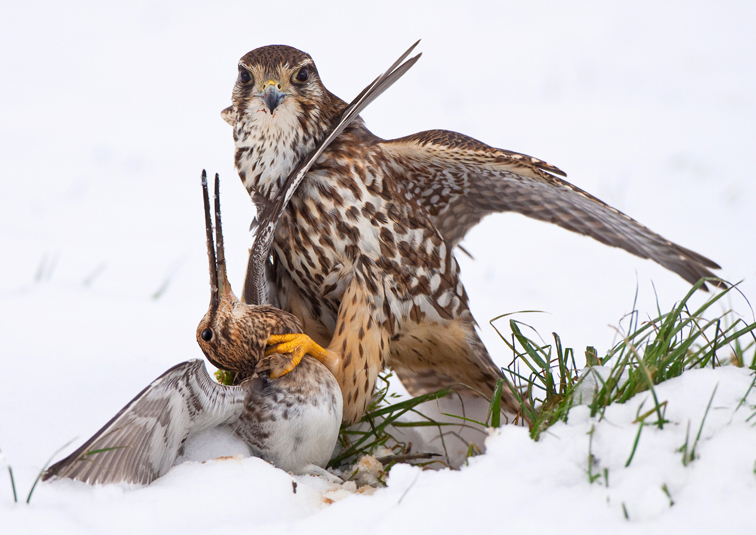 Winner of the Veolia Wildlife Photographer of the Year 2011 – Birds.